Java can seem intimidating...and impossibly dense to get through. It's also powerful-and a must-know if you're thinking about a career in programming. This bundle makes it easier to pick up-without a stack of dull textbooks. Get the Complete Java Programming Bootcamp for $69 at Escapist Deals. You'll save 90% on 10 Java courses. Starting from scratch? No problem-there's plenty here tailored to beginners. Learn how to use Java to power everything from online games to chat platforms, master the essentials of writing efficient code, get comfortable with Java syntax, and understand the history of the Java language. 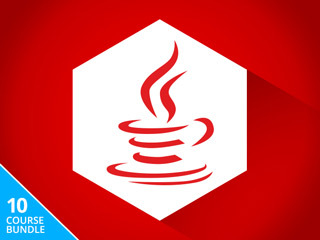 Not only will you master the Java programming language by the time you finish the courses, you'll pick up training that will help you understand how any computer program works. Get the Complete Java Programming Bootcamp for $69 at Escapist Deals.